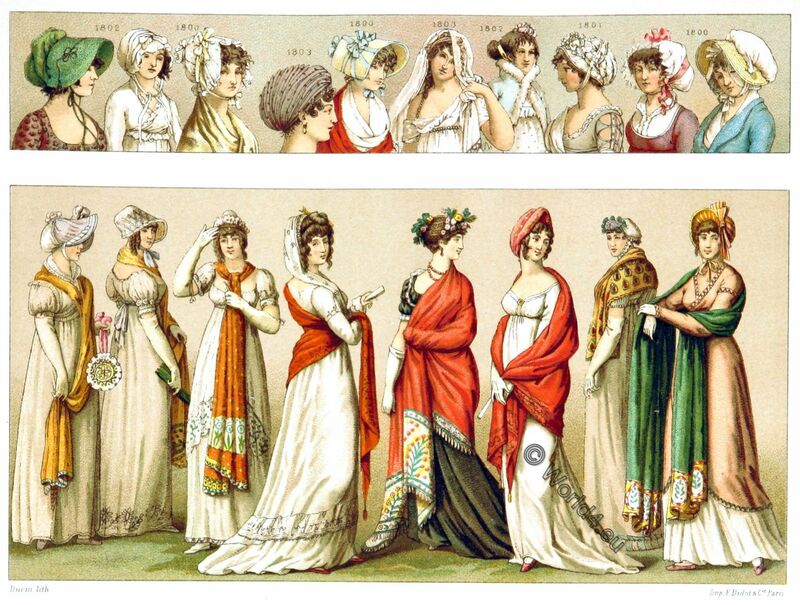 Empire Fashion and Hairstyles from 1800 to 1810. Fashion and Hairstyles from 1800 to 1810. This entry was posted in 1800, 1801, 1803, 1810, 19th Century, First Empire, France and tagged First Empire Style on 3/11/18 by world4. This entry was posted in 1801, 19th Century, France, Genre, Romantic Era and tagged Character sketches, Romanticism fashion on 11/9/16 by world4.